A top destination for many visitors to Japan, Gokayama is a group of Japanese style village houses that is surrounded by steep mountains where winter brings heavy snowfall up to 2 meters high. 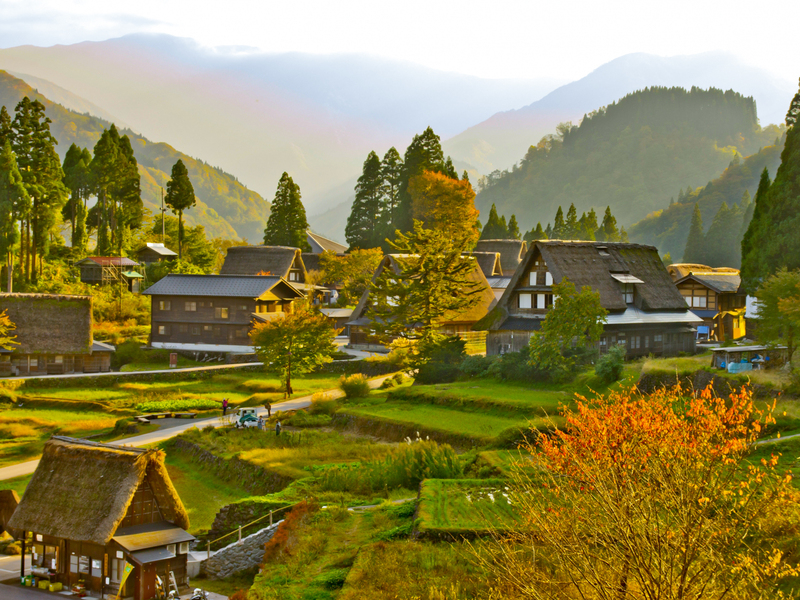 However, Gokayama is not just special because of its village houses: the overall scenery which also includes rice fields and stone walls is a rare sight in Japan. It is believed that the oldest existing village here had been constructed back in the 17th century.